Rather than by choice but more by relevance the world of athletics has once more switched to the focus of drugs in the past week. As almost all of you will be aware, the BBC Panorama aired last week on Wednesday 3rd June, uncovered demeaning allegations against some of the worlds best known runners, specifically Galen Rupp of America, along with his coach, Alberto Salazar, however it must be known that there were no allegations of any other of the athletes coached by Salazar, including Mo Farah. 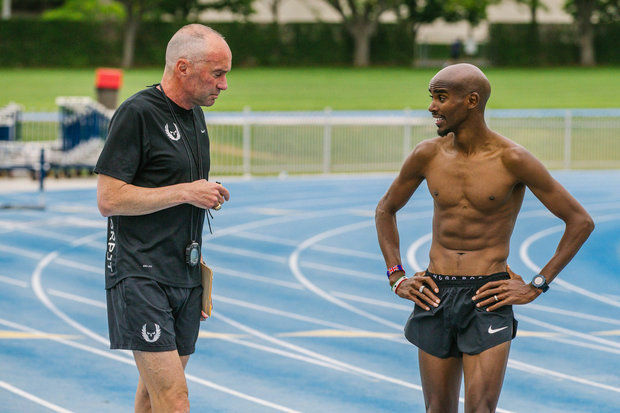 Alberto Salazar is the head coach of Nike’s senior running group based in Portland. This group of elite distance runners was formed to increase the US medal haul in distance races in major championships. This was an apparent success with Salazar coaching Mo Farah and Galen Rupp to the pinnacle of success by winning gold at the London Olympics in the 10,000m. However, this would seemingly come at a price as uncovered by these recent findings. 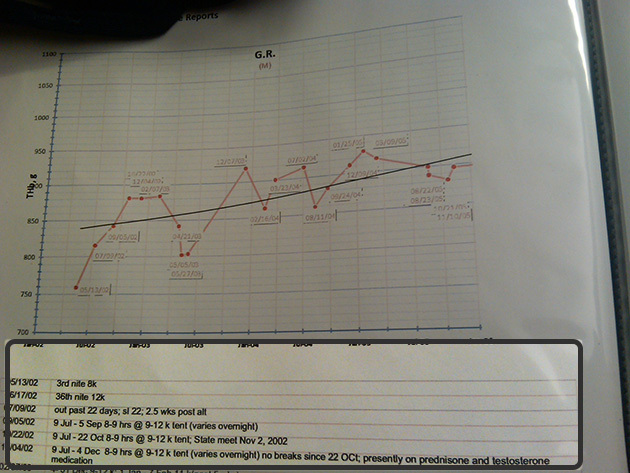 Despite the fact that the only hard evidence of any wrong doing lies in a photograph of Rupp’s lab tests showing the use of testosterone back in 2002 (Below), all the claims of those involved seem to be justifiable. 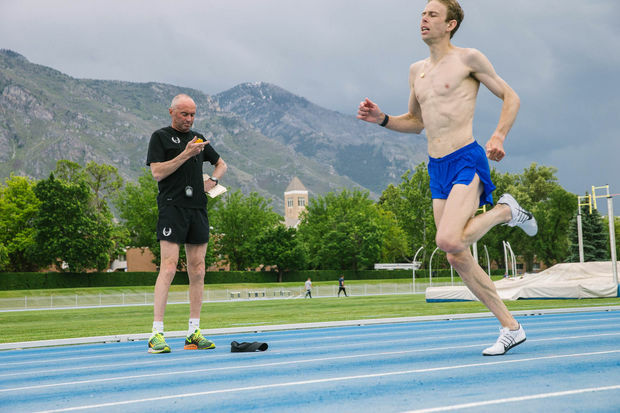 Many of those entering the Salazar camp including Steve Magness (former Nike Oregon Project Coach) have left sooner rather than later, expressing concerns over the somewhat excessive and extreme forms of training used in Oregon. From all I have seen of the evidence and coverage given by the BBC program along with the reports of renowned sports science reporter, David Epstein, the similarities with this case and the Lance Armstrong case are profound. As seen in the uncovering of Armstrong’s career as a cheat in 2012, the majority of the cycling and sporting world struggled to believe this feet of winning seven Tour de France titles back to back was possible whilst being clean. There had been multiple times in which those surrounding Armstrong and his team had come forward and given evidence and their view that what Armstrong’s camp was doing was immoral and cheating. This too has already happened here in this current Salazar saga, with those ex athletes such as Kara and Adam Groucher (both ex-Salazar runners) coming forward expressing distressing accounts of witnessing Salazar and Rupp attempting to use and manipulate the Therapeutic Use Exemption (TUE) system in 2011 in the attempt to attain a IV drip before the World Championships in Daegu. This system is in place for athletes to have access to banned substances for exemplary reasons, which in this case it is suggested Rupp did not. With the Groucher’s plea against Salazar being such a convincing one, one cannot justify and plausible reasons for them to come forward with this information for any other reason than for it to be true. As previously stated, the similarities with the Armstrong situation are clearly seen here with the same witness accounts from those working with Armstrong coming forward. However, for many years, these people were strongly fought against by Armstrong’s defence team, not allowing their truths to be heard. 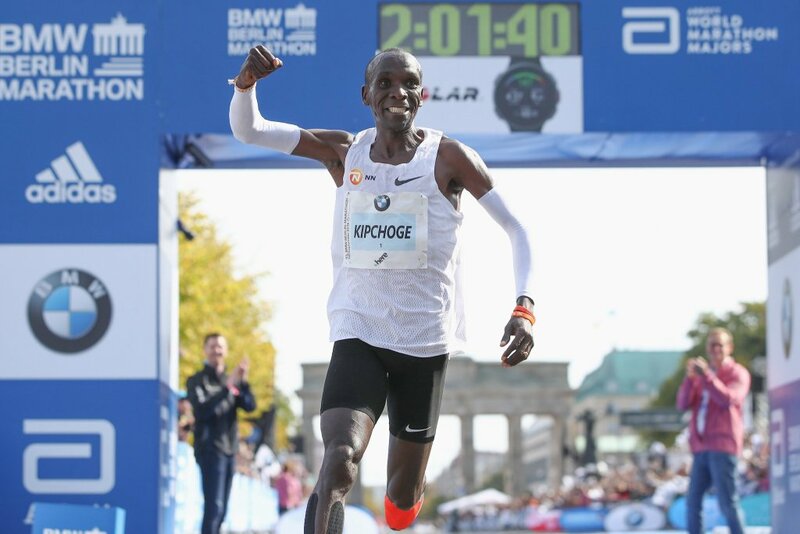 It is quite well known that Farah is a daily training partner to Rupp in Portland when not at altitude in Kenya or at training camps such as their most recent visit to Park City, Utah. Although Farah is clear from any allegations, it is been a hard outcome for him and the other athletes under Salazar’s watch. I take the view, as do many others that Farah worked as hard as any previous Olympic medalist to win in London and I agree also with his statement given last weekend that he has personally been dragged down by the reports and deserves answers more than anyone else. Clearly these events have taken their toll against Farah and presumably the other athlete – notably Mary Cain, the American teen sensation, bursting onto the athletics scene in 2013 who still remains only 19. Cain recently announced that she would be taking leave from the Oregon Project to rest after tough recent performances.